Iran will export most of its enriched uranium to Russia in the coming days as it rushes to implement a nuclear deal and secure relief from international sanctions, Tehran’s nuclear chief was quoted as saying on Saturday. 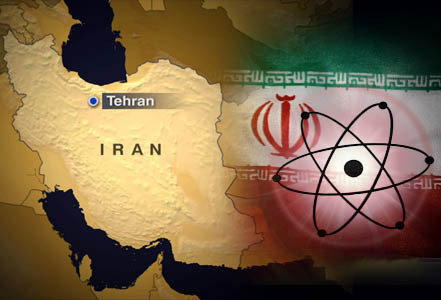 Drastically reducing its stock of enriched uranium, which can be used in nuclear weapons, was at the heart of the deal Iran reached in July with a group of six world powers. Under its terms, Iran must cut its stockpile to around 300 kg (660 lb) and mothball most of the centrifuges that produce the enriched fuel. It must also remove the core of a heavy water reactor at Arak so it cannot be used to produce plutonium, another potential bomb-making source. Once the United Nations verifies those steps, international sanctions will be lifted, giving Iran access to global markets for the first time in years and opening a lifeline for its ailing economy. “In the next few days around nine tonnes of Iran’s enriched uranium will be exported to Russia,” nuclear chief Ali Akbar Salehi was quoted as saying by state news agency IRNA. That is roughly the amount that Iran must export to bring its stock down to the required level. He said the enriched uranium would be taken out of Iran on board a Russian ship. Iran has already received a shipment of yellowcake, an unenriched uranium compound, from Russia in exchange for the stockpile. President Hassan Rouhani’s government is aiming to get sanctions lifted by the end of January, to boost pro-government candidates in Feb. 26 elections to parliament and the Assembly of Experts, the clerical body that chooses the Supreme Leader. Iran is set to reap an economic windfall once sanctions are lifted. The government has pledged to quickly boost oil production, and foreign companies are jockeying to enter the market of some 80 million people. Nevertheless, the economy has stagnated since the deal was reached, as consumers hold off on spending until the market opens up. With no concrete improvement to voters’ quality of life, the government risks losing its ‘nuclear dividend’ if sanctions have not been lifted before the elections; hardliners opposed to the deal would stand to gain. On Wednesday, Tehran’s envoy to the United Nations’ International Atomic Energy Agency said Iran was working to complete the requirements in the next two to three weeks, after the U.N. watchdog closed its investigation of Iran’s past nuclear activities. IAEA chief Yukiya Amano, responsible for verifying that Tehran has taken the necessary steps, said in an interview that it is “not impossible” that sanctions could be lifted in January. Assume that Business Managers are not listening too much to El Supremo. Keep working at it, boys. “it is “not impossible” that sanctions could be lifted in January.” … although considering all the diatribes and theoretical speculations going on everywhere, SOMEBODY should be Praying Hard too.